FLowers on the patio in LA where we stayed on the first part of our vacation. 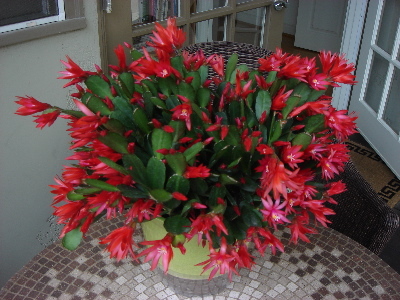 The color just caught my eye! Barb wrote an excellent article on the pros and cons of coffee. While I was surprised to read all the pros for drinking moderate amounts of coffee, one of the negatives, on page 11, stood out. If you are concerned about osteoporosis, then you might want to limit how much coffee you ingest each day. While the article does list many benefits, for example, coffee helps prevent gallstones and can increase the effectiveness of pain medications (ex. migraine headaches), the fact that coffee inhibits calcium absorption needs to be weighed against the benefits. As Barb notes, the choice is ultimately up to you. 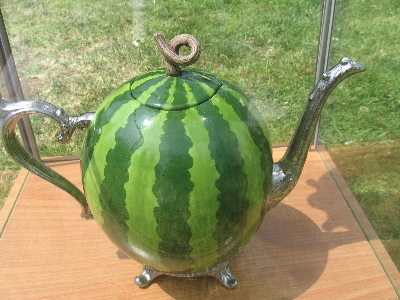 A ceramic watermelon teapot from a collection of ceramic fruits and vegetables I saw at the Beverly Hills Art Festival in May. To see more of this artist’s amazing work, go to www.KentConklin.com. In my daily life, I eat fresh, organic foods as much as possible, with an emphasis on eating them uncooked or lightly processed, especially in warm weather. Chlorophyll, which is produced by photosynthesis, requires sunlight. While chlorophyll is the storehouse of a plant’s nutrients, it is easily destroyed by cooking, so eating foods in their raw state helps preserve nutrients. Enzymes, which are proteins that act as catalysts in the body to speed up chemical reactions, are also destroyed by cooking. More importantly, as we age, the ability of our bodies to produce essential enzymes slows down. Since raw food is rich in both chlorophyll and enzymes, promoting metabolism and helping to eliminate toxins and wastes, the more raw food in our diet, the easier time your body will have to do its job of digesting and assimilating nutrients and eliminating toxins. So enjoy the summer with easy-to-prepare fresh, organic foods that are uncooked or lightly cooked and see if you don’t feel more alive! In fact, we could call this posting Live Foods for Energy. apples, bell peppers, celery, cherries, grapes, nectarines, peaches, pears, potatoes, red raspberries spinach, and strawberries. 1. Peel avocado, remove pit, and dice. 2. Peel, (remove seeds), and chop cucumber. 3. Place avocado and cucumber in food processor and add about 1/2 cup water, lemon juice, dill, optional garlic, and salt. Puree until smooth. 4. 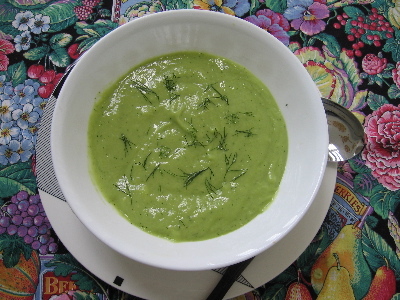 Depending on how watery your cucumber, you may need to add more water for a soup consistency. Taste and adjust flavors. Right before serving, garnish with fresh dill. 1. Wash and spin dry the lettuce, ripping leaves into bite-sized pieces. 4. Prepare herbs as notes above, keeping the leaves intact. In this salad, the herbs are major ingredients. Note:The 2 cups of herbs impart a different-tasting salad, because the herbs come on strong. Feel free or start with one cup. Salt & pepper may or may not be necesary. 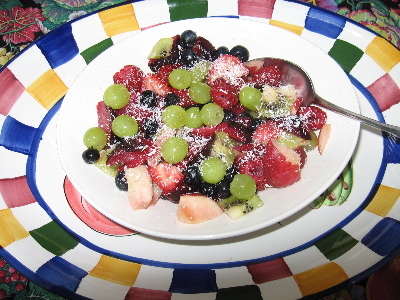 In Book, Film, and Website Reviews I review a book called Main-Dish Salads by Marsha Rose Shulman. 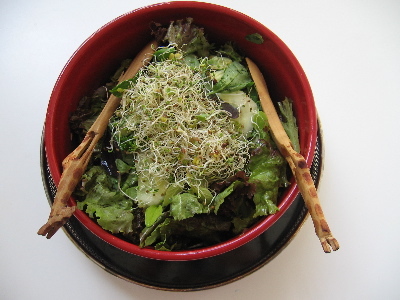 By using the guide in Shulman’s book, you can select fresh herbs that are more sweet, more pungent, or more bitter, which will definitely change the taste of this salad above. I used more pungent/bitter herbs and I could definitely taste the slightly bitter flavor. Next time I would probably use more dill, chives, and basil and less marjoram, parsley and thyme. 1. 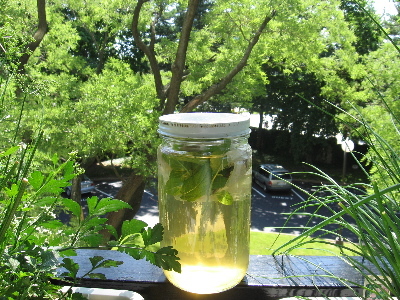 Place tea bags and optional leaves in a clear pint jar. Cover. 2. Place in a sunny spot until water becomes darker than you would normally brew tea. 4. 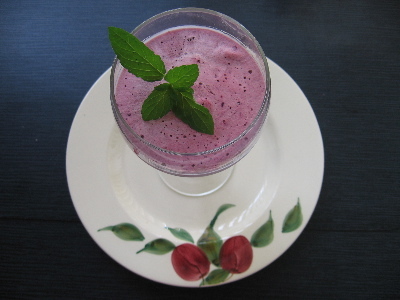 Chill and serve with lemon or fresh mint leaves. Note:You can also use loose tea. Strain after placing in the sun and before adding more water. You are currently browsing the Menupause weblog archives for June, 2007.